Zombie cheerleaders cheer! 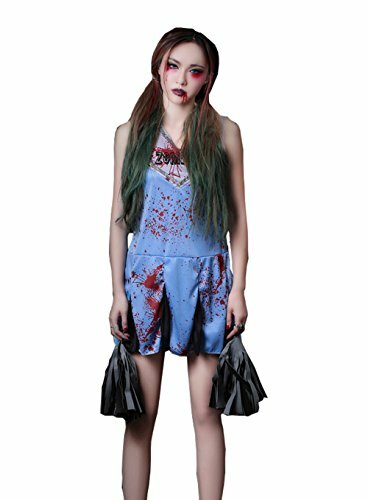 Zombie Cheerleader Halloween Costumes are here! 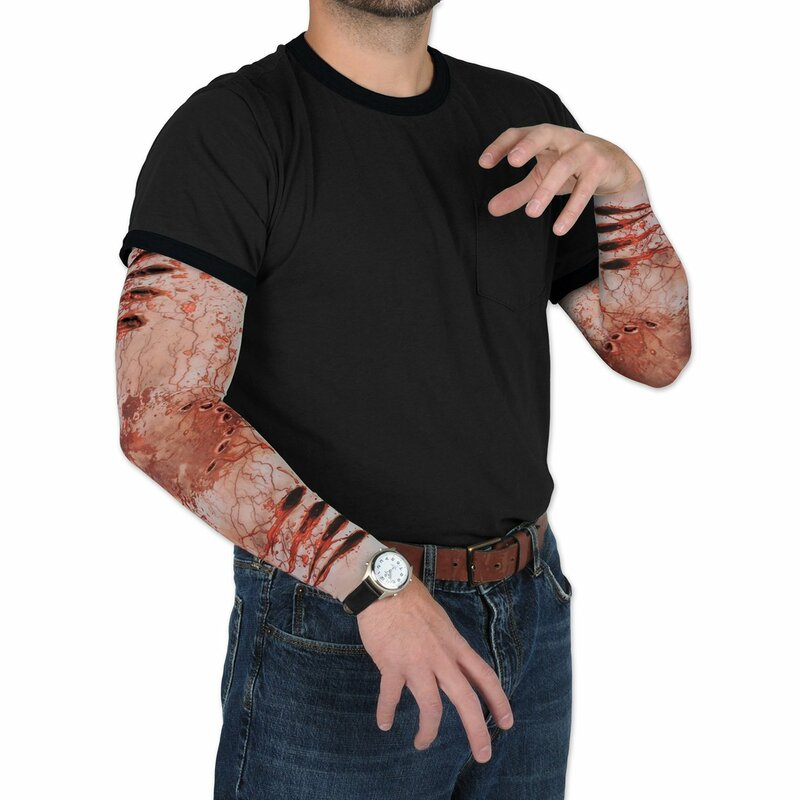 Are you going to the next zombie walk, but don’t know what kind of zombie to be? 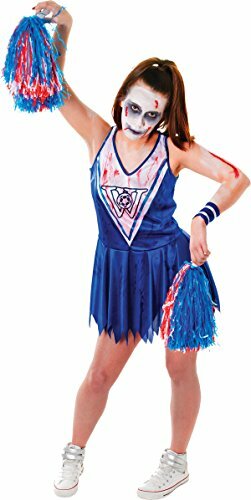 You’re in luck, we have a whole collection of zombie cheerleader Halloween costumes to choose from. 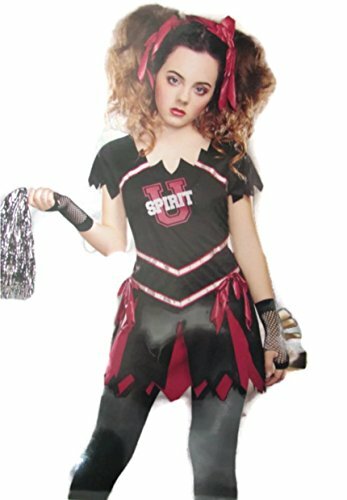 Young zombie-ettes and adult zombie-ettes alike can find an awesome zombie cheerleader costume here. Zombie cheerleaders are a favorite in women’s costumes. 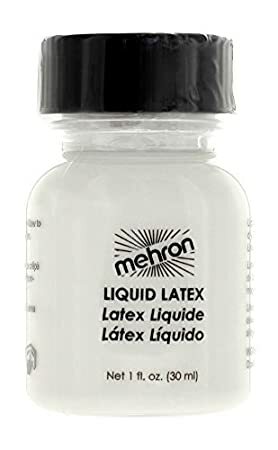 Know what would be fun? Throw a zombie party for the end of school! 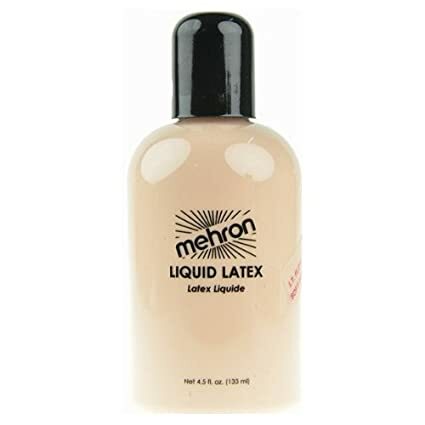 Or maybe for back to school, lol. 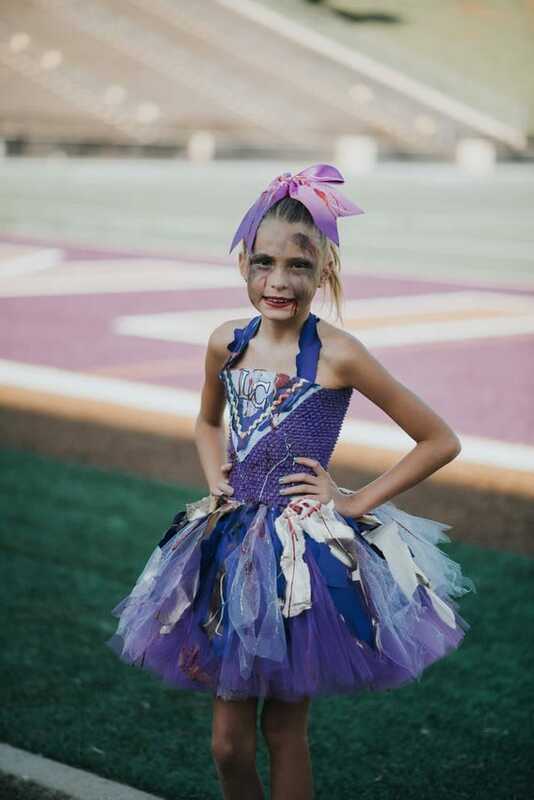 How about a zombie football party? That would be fun! Serve zombie brains and ‘bloody’ mary’s. You’ll be the death of the party! Check it out; there’s lots of great excuses…I mean reasons, to get your zombie on. Zombie walks are a ton of fun, but it doesn’t have to stop there. 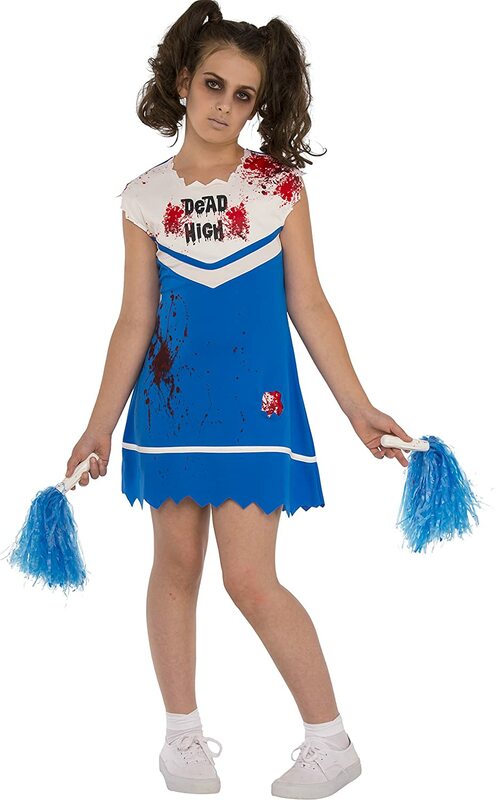 Girls love zombie cheerleaders and this is a really popular girls costume too. 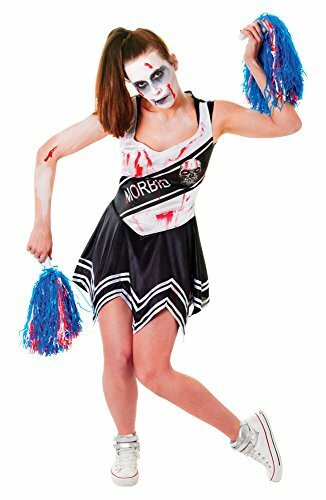 Enjoy the selection of Zombie Cheerleader Halloween costumes we’ve collected. Have a great time at your zombie event. Let me know how it goes! 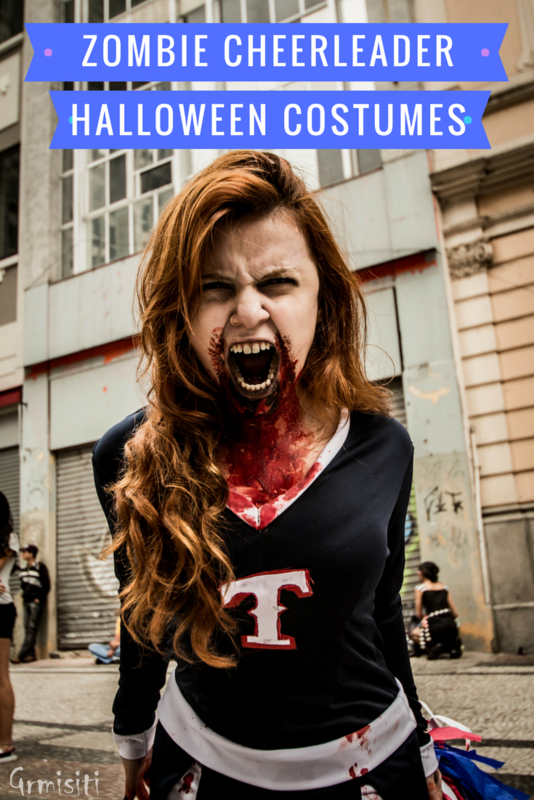 Want To See More Zombie Costumes? Click Here! 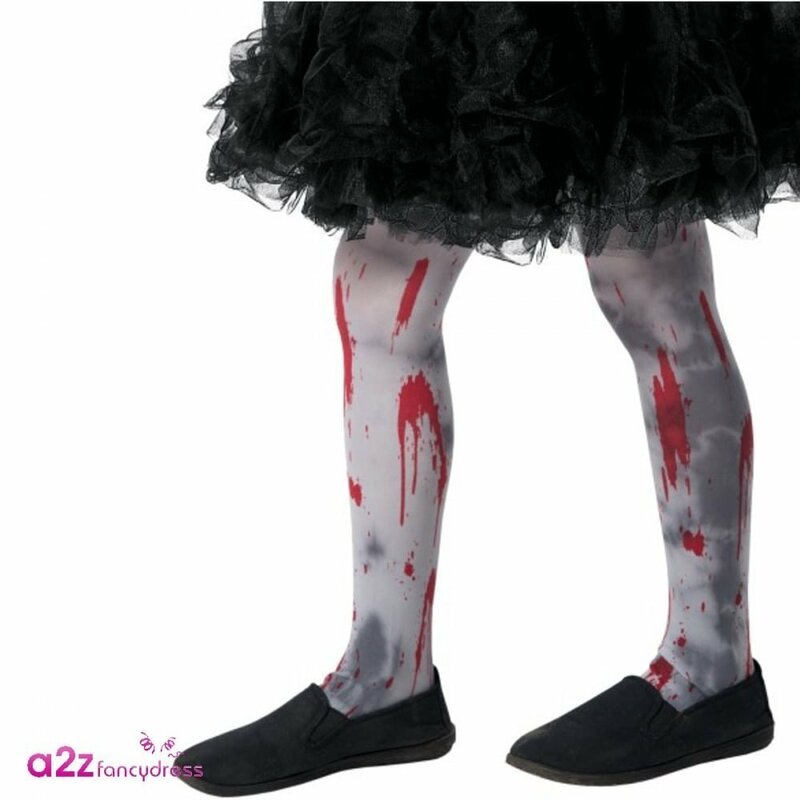 Shopping for A Zombie Cheerleader Kids Costume? She’ll make captain of the undead cheerleading squad when they see her in this costume. Nice details, the outfit comes with the dress, two pom pom’s and two hair ribbons. Great start! Go go mighty zombies, rock the house tonight! I said go go mighty zombies, rock the house tonight! How’s that for a zombie cheer? This is so cute I can’t believe it! This lovely 7 year old girl gets her inspiration from watching other makeup tutorials on YouTube. Isn’t that amazing? 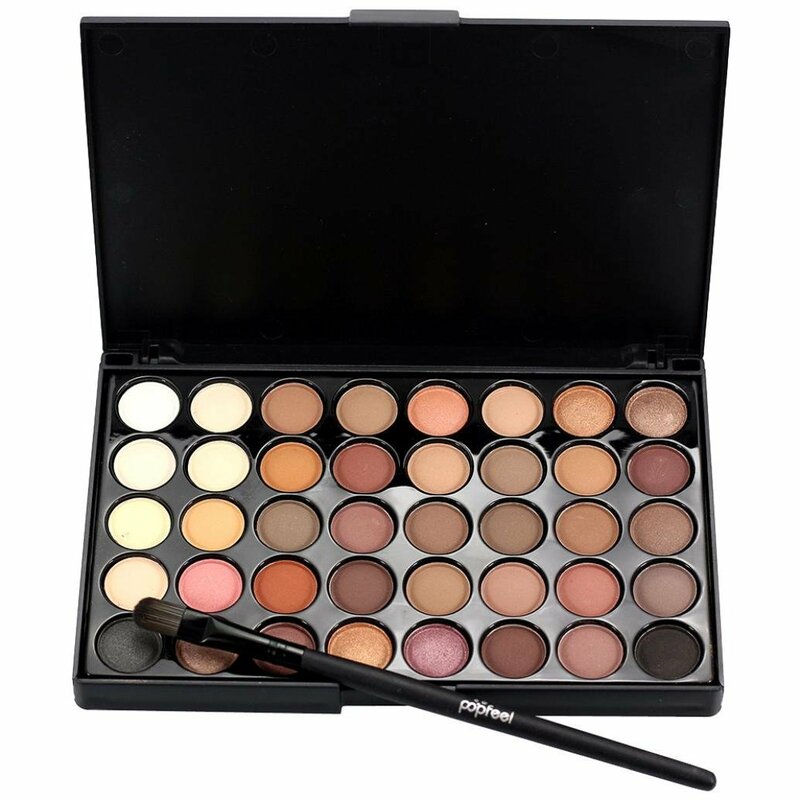 She did it all herself, with the simplest of makeup. 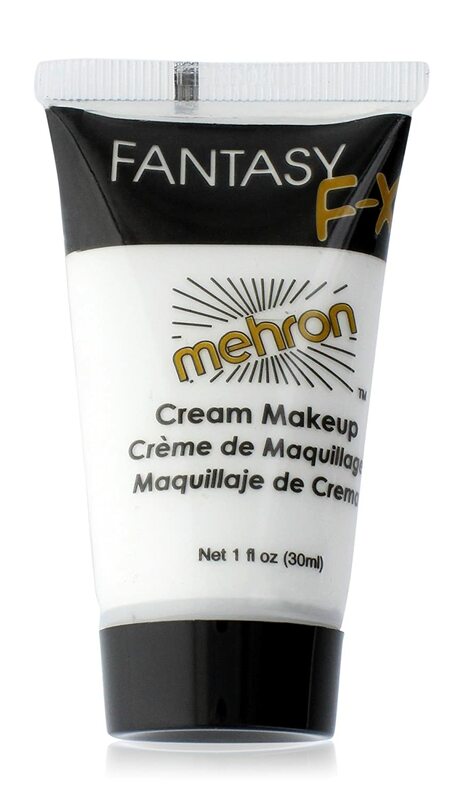 She’s got a future in Hollywood makeup! 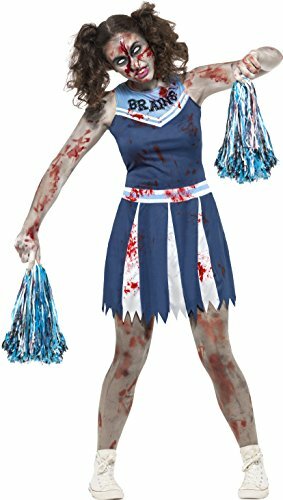 Wouldn’t this adult women’s zombie cheerleader Halloween costume be great for a zombie football party? 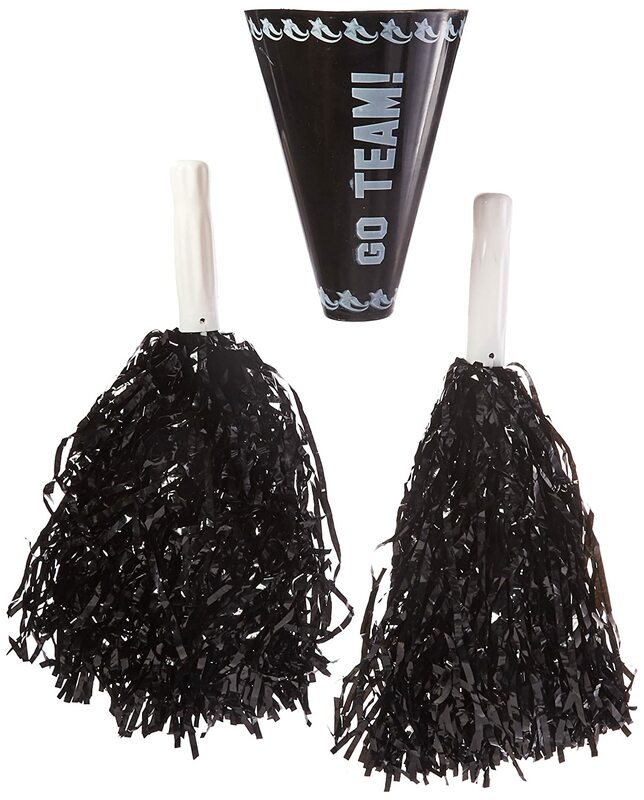 Where ever you decide to wear this cool costume, be sure to ‘give the team a hand’ to win, win, win! This costume comes with the dress and pom poms. 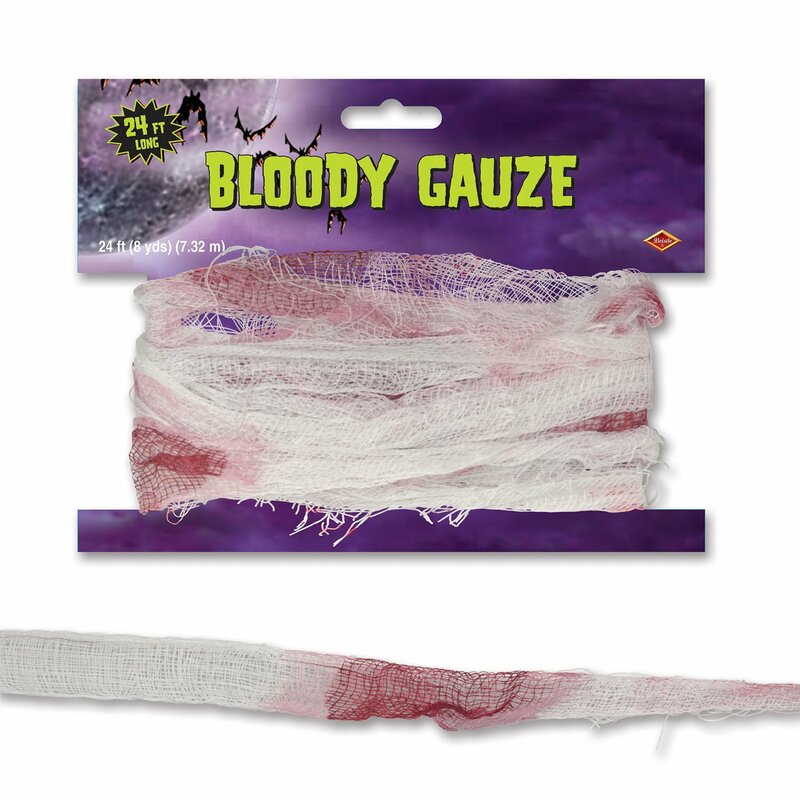 Stay tuned, we’ll have some zombie cheerleader costume accessories coming right up. Just make easy my middle name because I love to make anything that’s easy. I loved exactly how easy this tutorial was. 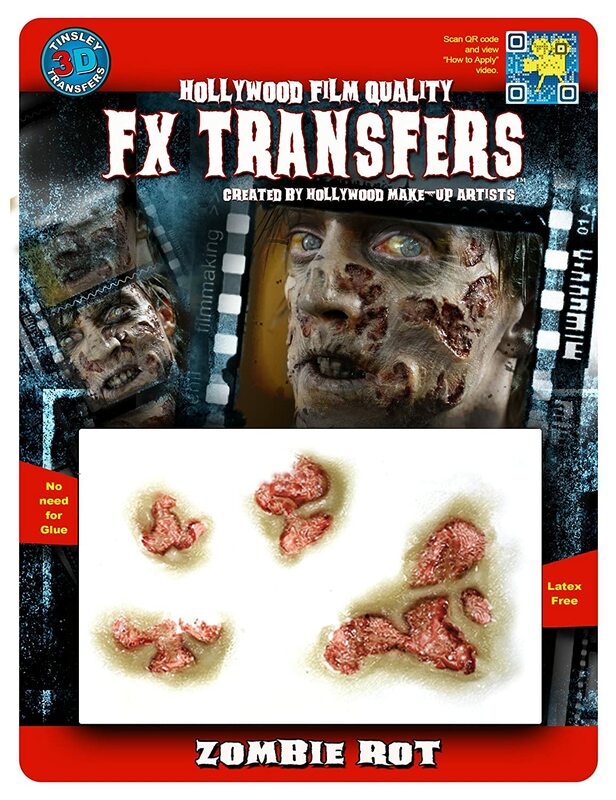 You can pretty much use the same makeup as with the little girl zombie, too. And just look at the result, fantastic! Zombie walk, here I come! 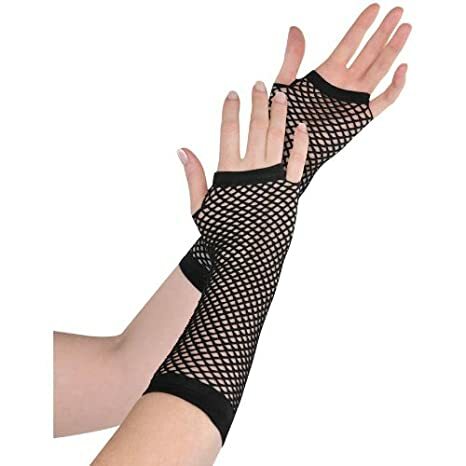 eBay always has a ton of fun costumes. 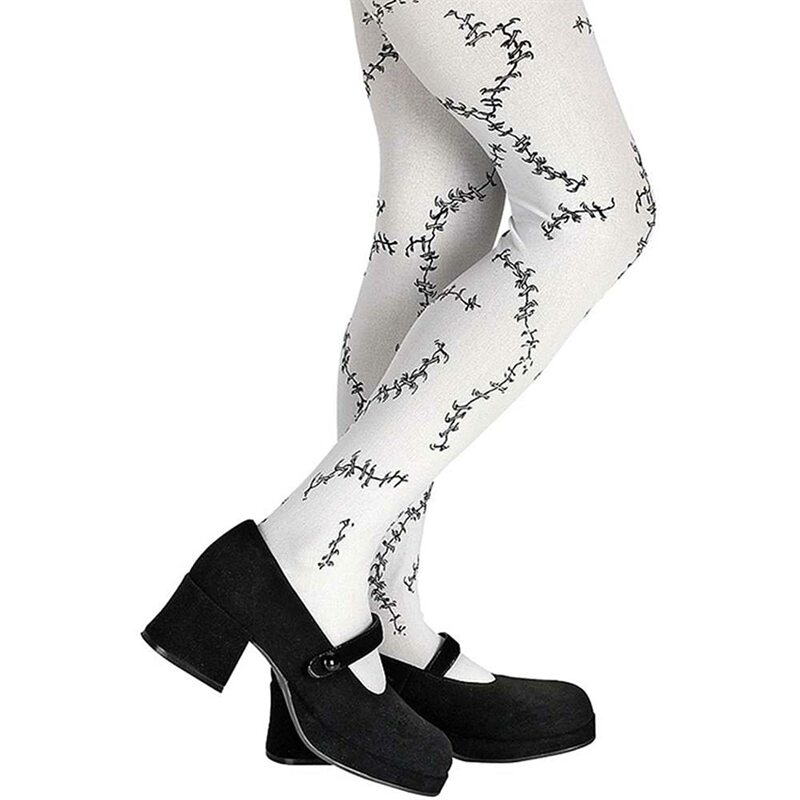 You never know, you just may find a really cool zombie cheerleader halloween costume over there!